Following the success of the scheme in which was piloted by Girlguiding Gloucester in 2013, we are keen to offer a similar scheme here. Geared towards girls who aren’t otherwise able to go to Brownies (perhaps waiting lists are too long or there’s not a unit nearby), Holiday Brownies will be 2-3 days of Brownie meetings in the school holidays. Who can come to Holiday Brownies? 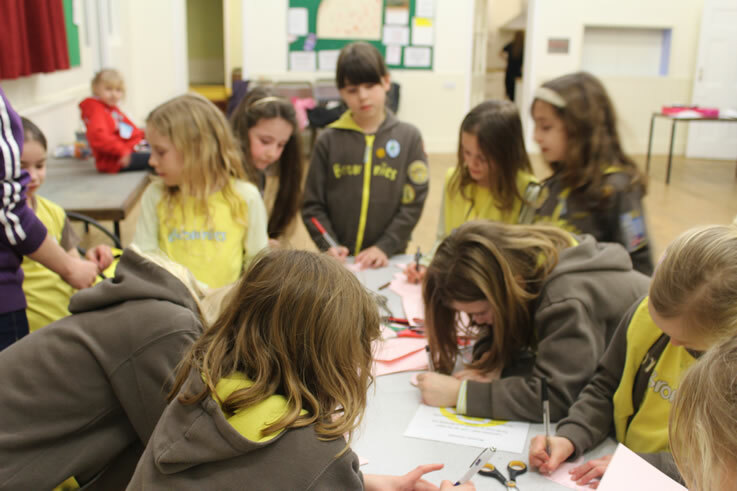 It’s aimed at girls who are waiting for spaces to become available at local units or who would like to get a taste of what being a Brownie is all about. Who can run Holiday Brownies? Any qualified Brownie leaders can run the sessions, but we are hoping to get help from Leaders who have completed their ALQ and may be returning home from university for the summer. What will Holiday Brownies do? Well, this will depend on the leaders who take the unit on, but it will include a variety of indoor and outdoor activities around the You, Community and World themes of the Brownie programme. Please contact us if you would like more information on helping with Holiday Brownies or would like to join. This is part of our County Plan for Growing Guiding.